The ARRL Centennial is a good time to reflect on the past to help us prepare for the future. In looking at seminal events in the history of ARRL, and especially ARES, one that is seared into the minds of us all is Hurricane Katrina, which occurred in late August, 2005. Here are a few excerpts from the ARES E-Letter for September 2005 as a remembrance. They seem to resonate with significance even today, almost ten years later. 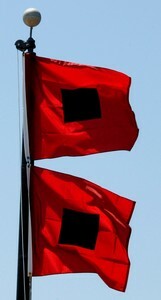 This year, the National Hurricane Conference will be held in Orlando, Florida, at the Orlando Hilton hotel, April 14-17. The primary goal of the National Hurricane Conference is to improve hurricane preparedness, response, recovery and mitigation in order to save lives and property in the United States and the tropical islands of the Caribbean and Pacific. In addition, the conference serves as a national forum for federal, state and local officials to exchange ideas and recommend new policies to improve Emergency Management. For past conferences, there has been a robust Amateur Radio and ARES presence in the form of packed workshops and discussion forums. Planning for this year's conference is underway now. Plan now to attend! Register here. The 28th Annual Governor's Hurricane Conference will be held May 11 - 16, 2014 at the Rosen Centre Hotel and Orange County Convention Center in Orlando, Florida. This conference also features an impressive presence of Amateur Radio and ARES. More information can be found here. As plans for Amateur Radio-related workshops and forums evolve, they will be reported here in the ARES E-Letter. The National Association for County & City Health Officials (NACCHO) is offering a series of webinars designed to teach public preparedness officials about Amateur Radio and help them to get licensed. Testing will be administered April 3 at the 2014 Preparedness Summit, which takes place April 1-4 in Atlanta. On Monday, January 27, 2014 at 1700, Escambia County (Florida) Emergency Management activated their EOC for a winter storm. The EOC was at Level I (full activation). ARES was also activated at that time. After a National Weather Service conference call that evening, the decision was made to go to Level II (limited activation). ARES remained activated pursuant to Emergency Management's request. At 1930, Emergency Management suspended operations for the night because of changes in the weather forecast and ARES was secured. The EOC was reactivated at 0700 the next morning at Level II. The ARES room was staffed at 0630 and ARES was reactivated. Emergency operations finally ended on Thursday, January 30, with ARES operations terminated as well. During the course of the week, rain on Tuesday turned to freezing rain, sleet, and snow by Tuesday night, causing icy conditions on roads and bridges. All of the Interstates highways, most of the bridges, and many roads in the Pensacola area were closed due to hazardous icing conditions. Conditions finally started to improve by Wednesday afternoon, and there were major improvements in road conditions by Thursday morning. The interstates reopened around 1600 on Thursday afternoon. Escambia County ARES was active for 61 hours during this event, with 46 Amateur Radio operators serving. Nine ARES members staffed the ARES room at the EOC at various times. 23 ARES members checked in during the weekly Escambia County Emergency Net on VHF on Monday night. 21 additional radio operators including 5 ARES members, checked in during the event via radio or on WebEOC. Two shelters (one winter weather shelter, and one train derailment shelter) were opened. An EMS need request was handled via Amateur Radio, and reports on weather and road conditions were sent in by operators in the affected area. Amateurs also assisted drivers (including truckers) with road and bridge condition reports and directions on both a 2 meter amateur repeater and on CB radio. ARES operators diligently submitted a total of eight ARES situation reports (SITREPs) and ARES leadership responded with updates back to the rank-and-file operators. Assets employed included HF voice via the Northern Florida ARES net and Northern Florida Phone Net, and a tactical net on the county 146.76 MHz repeater. Digital modes were also employed, including APRS, which was used to track at least one ARES member on the map as they traveled to and from the EOC. Radio e-mail using HF frequencies via Winlink was tested, and D-STAR was also tested on the D-RATS platform in digital chat mode to the state EOC in Tallahassee. Operators connected to and monitored the Northern Florida Ratflector. CB Radio was also used to give directions and reports to the truckers navigating from the interstate (I-10) to US 90, which was open. It was the first use of the CB radio at the EOC for emergency operations since it was installed after Hurricane Ivan. The meals provided at the EOC were simple and very good. There were no major problems with WebEOC - a popular EOC suite of programs and management tool -- during this operation. All operations were effected well. An Escambia County and Pensacola area street map book would have been useful when providing directions to travelers and truckers; the ARES operators on duty in the ARES room were relying on their memory. The Florida map in the ARES room was used to help. A/V equipment and computers/printers need to be tested more regularly for troubleshooting prior to actual incidents. Also, since there is no window into the EOC from the ARES room to monitor what was going on, there was a loss of situational awareness with the TV receiver in the ARES room not working properly. Ages ago (in the late 1980s, or perhaps a bit earlier), a FEMA official met with a statewide group of ARES/RACES leaders in Salem, Oregon. The official stressed that HF, VHF, and Packet comprised "a 3-legged stool" for emergency communications support. I voiced the observation that packet becomes less effective outside of a local area unless one first knows how to address a message to a remote digital station, including those with which they may have never before communicated. My suggestion to him was for FEMA to coordinate with the FCC to permit uniform static tactical packet addresses throughout the country for amateur digital communications associated with EOCs. The example format I mentioned was that of the National Crime Information Center (NCIC) ORI (Originating Agency Identifier) used in law enforcement, which follows a standard naming convention. Fast forward to January 2014 when I set out to fulfill a request by the Disaster Relief Team at the Cascades Region of the Red Cross for a list of Winlink e-mail addresses that would be active in EOCs throughout Washington State during an emergency/disaster. As the responses from the leaders in the counties began to trickle in, it quickly became obvious that we as ARES may be under-prepared for providing backup digital communications for our served agencies. A few counties reported no digital capability in their county EOC; some plan to rely on whoever is dispatched to the EOC or shows up with the right gear; some have Winlink e-mail addresses associated with their EOC, but bounced when I sent a continuity test message; and only a few counties use static tactical Winlink e-mail addresses at critical communications locations (ie, county/city/tribal EOC, law enforcement, fire station, health department, and public works facilities). The concept of tactical Winlink e-mail addresses is introduced here on the Winlink website. These are free-form addresses up to 12 characters in length (before the @ sign). During an emergency/disaster event, how does an EOC or agency in your neighboring county know/remember if you are using eoc-5@winlink.org or eoc-17@winlink.org for your tactical callsign? Could the EOC in Volusia County, Florida, send a Winlink message to Wahkiakum County, Washington, without knowing the call sign of the operator on duty at the EOC in Cathlamet? Yes, that outside EOC/agency could contact you on a voice band and ask, but what if a critical band is out and this extra step drastically delays a critical message between served agencies? Now, let's merge that old idea of coordinating uniform static packet addresses with the Winlink capability of establishing tactical e-mail addresses. For example, we could define an eight-position tactical e-mail address (to differentiate it from the nine-position ORI). The first two positions could be the state abbreviation; the next three positions could be the unique code for the county (ANSI standard INCITS 31:2009) or an acronym for a state agency; the final three positions might be some sort of served agency identifier within the county. Unlike the Linksys WRT54G series of indoor, table top routers/radios, the Ubiquiti devices are designed for outdoor use. In addition, at least two Broadband Hamnet capable Ubiquiti devices, the NanoStation Loco M2 (NSL-M2) and the NanoStation M2 (NS-M2), incorporate a router radio and an antenna in one unit. The main difference between the NanoStation Loco M2 and the NanoStation M2 is the strength of their built in antennas. The Loco M2 provides 8 db gain while the M2 offers an increase to 11 db gain. In response to your recent QST Public Service column subject on Oregon's emergency management's call for more hams, I'd like to offer the following perspective. I have been a ham since the late 70s and continuously in ARES until this year. I lost my ARES membership because I failed to take all of the on-line FEMA tests/certs. My ARES experience has ranged from a communicator (and certified climber) with the Mountain Rescue Association in California to helping during Hurricane Andrew and as Red Cross Disaster Chairman for the State of Oregon. I have been an AEC and a DEC and participated in scores of exercises and events over the past 30 years. In the late 70s when I joined ARES, all one had to do was show an interest in public service, list mobile gear, take instructions from an EC or AEC and be ready to roll. We never had a shortage of operators in ARES. Currently in my small town there are several highly qualified amateurs who are not interested in meeting the qualifications now required by the county ARES. It is not the fault of the county's ARES leaders. In the name of "professionalism," the larger ARES community, emergency managers and FEMA has talked us into such a strong belief that we can do a better job if we memorize all the ins and outs of the Incident Command System and protocols and procedures of those we serve that this knowledge has become mandatory. This knowledge may be helpful and "nice to know" and good topics for overviews in meetings, but is it so essential that it needs to become mandatory for every foot soldier before he can even be an ARES member? I receive many letters like KJ7GQ's above. Here in Volusia county, Florida, many ARES members were lost when certification requirements and especially an intrusive background check were imposed a few years ago. The actions left the program here without enough operators to fully staff the many shelters in the large county. Reportedly, some of the requirements have been dropped and a few ARES members are stepping back into the program, but some damage control was clearly indicated. The challenge to ARES leaders, emergency managers and Red Cross officials is to properly balance the legitimate needs of these entities with the fact that we are volunteers with jobs, families and other activities that naturally limit the amount of time and resources we have to devote to ARES training, drills and actual incidents. The rule of reason must apply. On the one hand, over the course of time since 9/11 and the Hurricane Katrina mega-disaster, the US has ramped up its domestic emergency and disaster services for more effective and efficient response. The Incident Command System was developed as a nationwide template for all emergency response agencies to be able to work together from the same page with interoperability and a recognized, universal management model. We, as ARES members, need to understand how the ICS works, otherwise we will be left outside, looking in. It is not unreasonable for served agencies to expect us to be conversant in this model. Similarly, it is not unreasonable for Red Cross, for example, to be confident that we are conversant with their protocols and procedures, and for it - and the public - to be aware of who is working in public shelters via a background check.